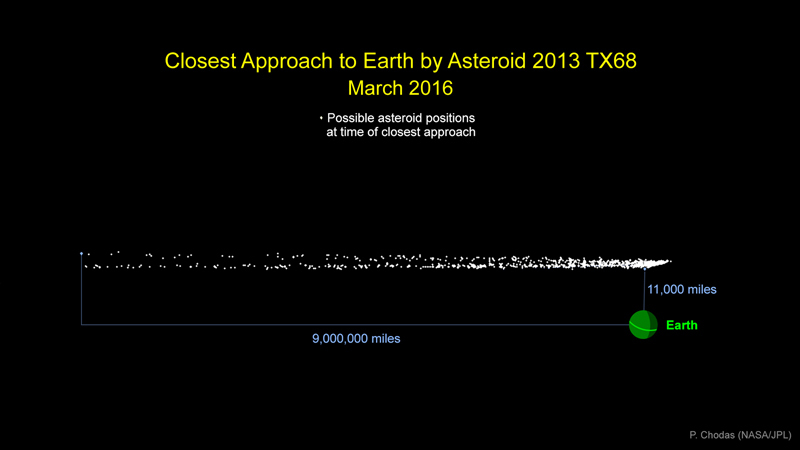 Two years ago, asteroid 2013 TX68 flew by the Earth at a distance of 1.3 million miles—about five times the distance between the Earth and the Moon. Sometime between March 5 to March 8, this asteroid will give an encore performance, in case any Near Earth Object (NEO) fans missed it the first time. First and foremost, remember what is printed in big, friendly letters on the cover of "The Hitchhiker's Guide to the Galaxy": Don't Panic. Smaller asteroids strike the Earth more often than you might think, though usually in less populated areas. NASA's Center for NEO Studies (CNEOS) has determined that there is a zero-percent chance that 2013 TX68 will hit the Earth—on this pass at least. The mathematical certainty of a miss aside, the exact distance of closest approach is somewhat murkier. 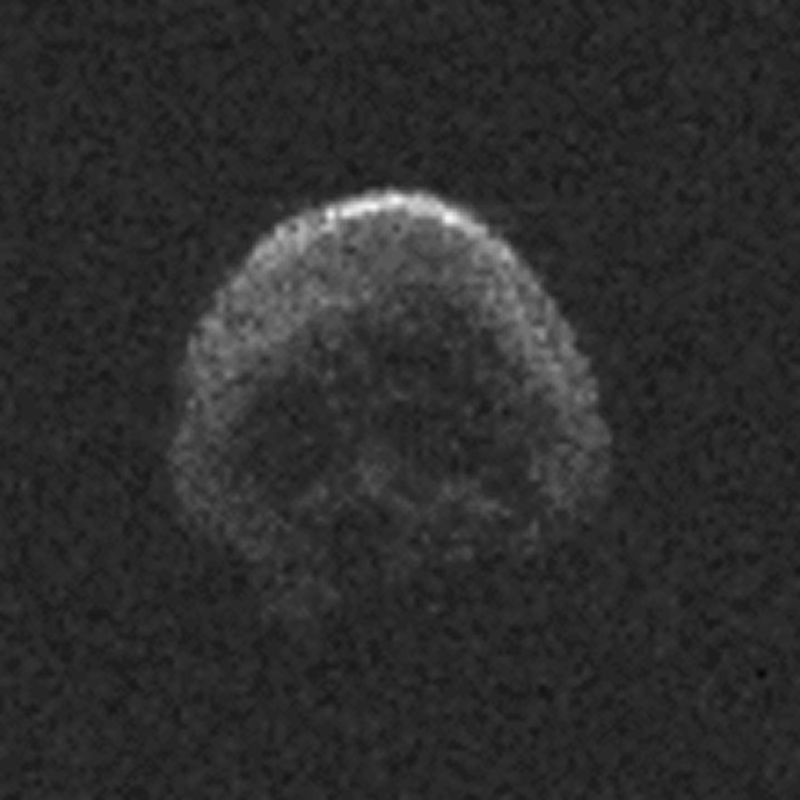 This asteroid is predicted to fly by at roughly 3 million miles from Earth. Thankfully, it's not going to hit us. Why the uncertainty about the exact distance? In a nutshell, we don't know enough about this asteroid's orbit around the sun to pin it down with any more precision. From the moment it was first detected to when it faded and became undetectable, observers had only ten days to track it—too little time to gain a clear understanding of its orbit. The longer we can observe and track a NEO, the better we understand its orbit and therefore the probability of a future collision with Earth. There is a very small chance—1-in-250 million—that this asteroid could hit us on September 30, 2071. But you have a better chance of winning the Super Lotto jackpot than being crushed by this asteroid. Even if 2013 TX68 were to hit the Earth, it wouldn't wipe us out. It could easily spoil someone's day, make no mistake: this asteroid is about 100 feet in diameter, almost twice the size of the object that exploded in the atmosphere above Chelyabinsk, Russia, three years ago. The Chelyabinsk air-burst produced a shockwave that damaged buildings and shattered windows across a wide area, and, had it struck the ground intact, would have left a significant crater. 2013 TX68 would release about twice the energy as the Chelyabinsk event. 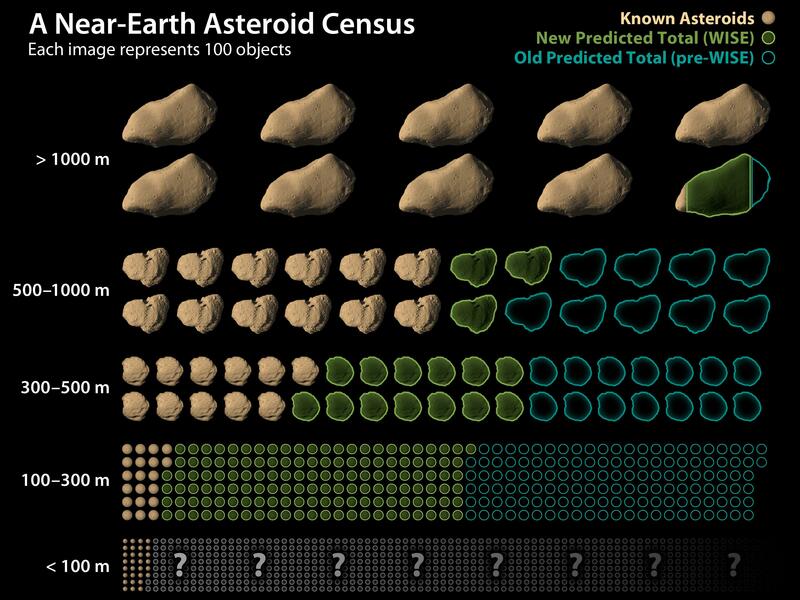 2013 TX68 is a good reminder that Earth shares its space with millions of rocks—potentially hazardous asteroids ranging in size from a few feet to hundreds of feet across, or more. We know of about 14,000 NEOs, including practically all of the big ones. The big ones are easier to detect at greater distances, and we have a lot more orbital tracking data on them and understand their orbits best. But the smaller the rock, the harder it is to see, and it is estimated that there may be over a million NEOs that have not yet been discovered. The smallest NEOs that we're concerned about aren't detectable until they're almost upon us. In fact, on average, between 25 and 30 NEOs pass closer to Earth than the Moon's orbit each year. Presently, there isn't a lot we could do to avoid an impact, especially with little or no warning. Smaller asteroids strike the Earth more often than you might think, though usually in less populated areas. Remember, 75 percent of Earth's surface is ocean, and some regions on Earth are uninhabited. Think of a dartboard, where the bull's-eye represents the Earth's highest populated areas, and the dart has no particular aim. 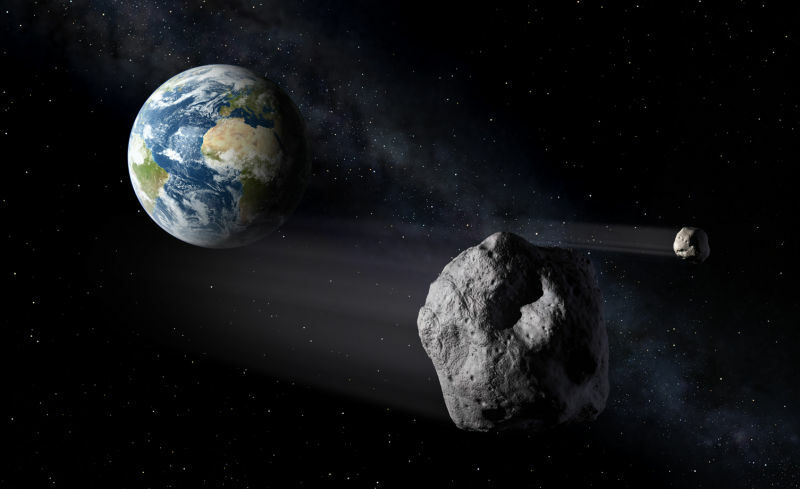 There are ideas about how to protect us from large asteroid impacts. One is to send a massive robotic spacecraft to an asteroid we know will likely hit the Earth, and use the gravitational attraction between the two to "nudge" the asteroid into a safer orbit. It's sort of like a small tugboat nudging a large ocean cargo ship to avoid striking a bridge pier, something the tug is capable of doing given enough lead time. This plan requires precise knowledge of an asteroid's orbit and the ability to predict an impact years in advance, which is one good reason to learn as much about NEOs now as possible!